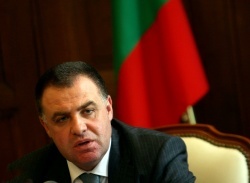 Bulgaria has one of the most restrictive Forestry Acts in the world and it hurdles investments, according to Agriculture Minister, Miroslav Naydenov. This is how Naydenov commented on ongoing protests of residents and officials from Bulgaria’s top winter resort of Bansko, demanding the expansion of ski tracks and the construction of a new ski lift. Speaking for the Focus news agency, the Minister stated it was normal for someone to hear these demands as well, not just the ones of the environmentalists against the amendments to the Forestry Act. “You can see that there are protests for and protests against, and the Cabinet took into account the latter. I am speaking about the rallies at Eagles Bridge. I wanted to go talk to them, but I was told my presence would escalate tensions. So, their representatives came to see the Prime Minister, and we listened to them. There were then contra-protests in Bansko. We must hear these people as well. However, problems are not resolved through protests, but on the negotiations table,” Naydenov stated. The Minister explained that his colleague, Deputy Prime Minister and Interior Minister, Tsvetan Tsvetanov, and the Speaker of the Parliament, Tsetska Tsacheva, attended the recent rallies in Bansko because they were in the area and this has been their own decision. « Independent Workforce On The Up And Up?